The turnaround in oil prices threatens to undo the €500m effective tax cut that Irish households have enjoyed as a result of lower energy prices. 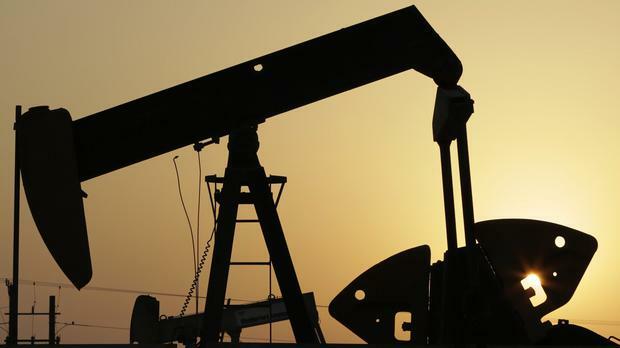 Crude oil prices jumped to over $40 a barrel last week. This was the first time this year that crude had broken through the $40 barrier and prices are up almost 50pc since the beginning of 2016. The resurgence in oil prices came at the same time as the CSO was publishing its figures on the performance of the Irish economy in 2015. These showed that GNP, by far the best measure of the performance of the domestic economy, grew by a scorching 5.7pc in 2015. GDP, which includes repatriated multinational profits, grew by 7.8pc, the fastest rate of economic growth recorded since 2000. If it all seems a bit too good to be true, maybe that is because it is. Ireland imports more than 85pc of its energy requirements, according to figures compiled by the Sustainable Energy Authority of Ireland. The EU average is just 53pc. This means that when, as has happened over the past two years, oil and other energy prices fall sharply, the Irish economy benefits disproportionately. The biggest user of energy in Ireland is the transport sector, which accounts for almost 42pc of our energy consumption. The other big users are the residential sector (23pc) and industry (21pc). In July 2014, crude oil prices peaked at over $110 (€99) a barrel. By late January of this year, they had fallen to under $30. Even when the fall in the value of the euro against the dollar over the same period is taken into account, that works out a price reduction equivalent to €70 a barrel. The prices of natural gas, our main source of electricity and home heating, have also fallen sharply, with those on the London ICE market, where big Irish users buy most of their gas, down by more than half to 28p per therm over the past year. Despite the fact that it has been virtually eliminated from electricity generation, oil remains by far the most important energy source at 47pc of total consumption, while gas, the price of which is closely linked to that of oil, makes up a further 28pc. Oil and other related fuels provide three-quarters of Ireland's energy requirements. The International Energy Agency calculates that Ireland consumed 132,000 barrels of crude oil a day in 2012, every drop of which was imported. That works out at over 48 million barrels a year - a figure that has almost certainly increased following the strong economic growth of the past few years. The IEA estimates that Ireland consumed 4.7 billion cubic metres of natural gas in 2012, all but 223 million cubic metres of which was imported. Domestic production will rise to about a third of total demand by 2018 when the Corrib field comes on stream. So how much has the fall in crude oil and natural gas prices been worth to the Irish economy? On the basis of the IEA's estimates, the reduction in oil prices could have been worth approximately €3.3bn, while lower natural gas prices would have been worth a further €650m to the Irish economy. That makes a total of almost €4bn. That is the equivalent of more than two-and-a-half times the €1.5bn package of tax cuts and spending increases unveiled by Michael Noonan in last October's Budget. In practice, we didn't capture the full benefit of the fall in oil and natural gas prices. Fuel distributors, electricity generators and other big users must buy their supplies in advance and are frequently locked into fixed-price hedging contracts. A better indicator is the average oil price, which was $48 in 2015, while the IEA is forecasting an average oil price of $34 for 2016 and $40 for 2017. A large fall in energy prices acts like a private-sector tax cut. Motorists pay less for fuel, households face lower gas and electricity bills, while businesses see their costs cut as they spend less on transport and power. Ger Brady, senior economist with employers' body IBEC, calculates that lower oil prices were the equivalent of a €500m tax cut for Irish households in 2015. This is money that can then be spent by consumers on other things and stimulate the domestic economy. So will higher oil prices reverse this de facto tax cut? The problems of the global economy - and of China in particular - mean that demand for oil is likely to remain subdued for the foreseeable future, says Ger Brady. He adds: "We are not going to see a full wipeout of the oil price tax cut."